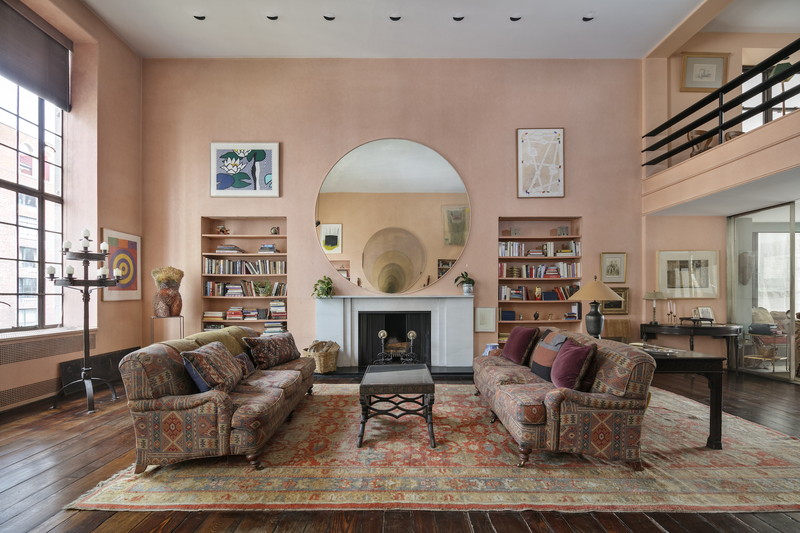 This notable three bedroom, three bath duplex home is in an elegant full service prewar co-op on fashionable 57 Street in New York City. It combines style with impeccable views. 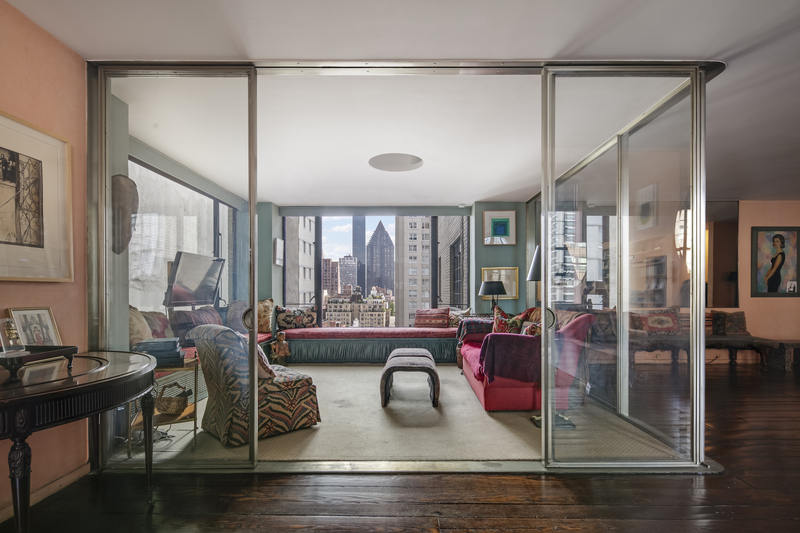 Originally designed in 1933 by the renowned architect Joseph Urban, the apartment has been lovingly maintained for the last 40 years by the late Senator Jacob Javits and his wife, Marian. The apartment has approximately 3300 sq feet of gracious living space with large windows. The semi-private vestibule opens to a large foyer leading to an expansive living room which has 17 foot ceilings, a wood burning fireplace with the original white stone mantle and two double height casement windows providing beautiful light and beautiful bookcases. 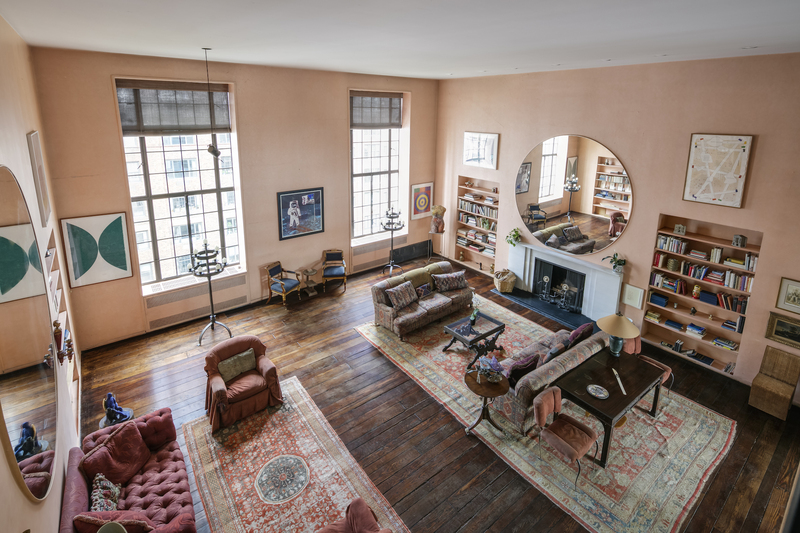 In the southeast corner of this majestic room is a glass solarium with open south city views. Just off the entry foyer and next to the wet bar is a beautiful curved staircase with its vintage lucite handrail, that brings you to the south facing formal dining room. 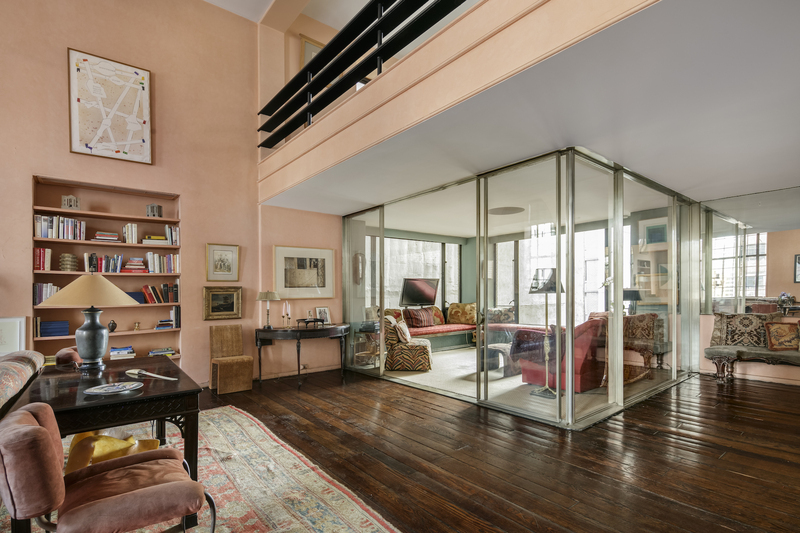 This space overlooks the living room and has an art-deco balustrade. Also on this floor is the generously sized windowed eat-in kitchen (originally a staff room and kitchen) which has a substantial pantry area with a second sink and a full bath. The service elevator conveniently comes to this floor. Downstairs, the bedroom hallway nicely separates the public rooms from the private spaces and leads to the large master suite with oversized windows that provide open south views, numerous dressing closets and a windowed en-suite bath with a deep closet. The second bedroom is a generously proportioned south and east facing corner room that shares a large en-suite windowed bath with the third bedroom. Built in 1929 and converted to co-op in 1959, 322 East 57th Street, was designed by architect, Harry M. Clawson of Caughey and Evans. Known for its impeccable service, soaring double height living rooms and neo-classical limestone faade, 322 is an architectural gem and remains one of the most elegant and prestigious co-ops in Manhattan. This home is listed for $4.35 million with Stribling & Associates and is showcased by Luxury Portfolio.